Home / Neurological / What Is Parkinson’s Disease? At Concentric we work with many people with Parkinson’s Disease (PD) so in this week’s blog, I thought I would take some time to explain PD for you and how it affects those that suffer from it. Parkinson’s Disease is a condition where nerve cells in the brain gradually deteriorate and die. This occurs in a region of the brain which produces dopamine, a chemical that is responsible for the control of muscles and movement. Dopamine levels deplete as we get older but in Parkinson’s Disease this happens at a much faster rate. Symptoms of PD manifest when 60-80% of the dopamine-producing cells are damaged ans this usually occurs after the age of 65 but in about 20% of cases this can be earlier. Am I at risk of Parkinson’s? What are the signs to look out for in myself or loved ones? The most well-known indicator of Parkinson’s disease is a resting tremor or shaking. This usually is observed in one arm. As the condition progresses you may identify muscle stiffness, slowness of movement, stooped posture, balance problems, increase in falls and difficulty initiating movements such as walking or standing from a chair. Can I protect myself from getting Parkinson’s? Whilst you we don’t currently know how to stop PD occurring, we do know how to slow it down or limit its impact. Medication can provide symptomatic relief, however it not currently able to protect dopamine producing cells from being damaged. Physiotherapy is very important in the long-term management of PD. In the early stage of the disease, Physiotherapy works by teaching your brain how to re-wire itself using a concept known as neuroplasticity. It is very important for the physiotherapy program to be intensive for this to work. 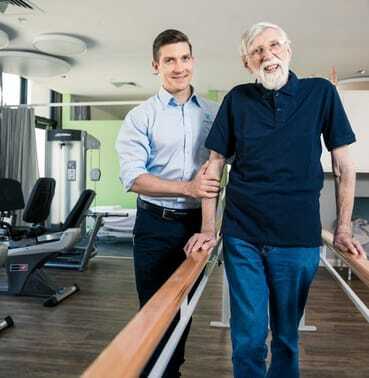 In later stages, Physiotherapists can also teach you how to maintain functional independence by teaching movement strategies to compensate for the challenges you may experience with movement such as managing falls, freezing, and difficulty with daily activities. Throughout the journey of the condition Physiotherapy can also help to mobilise joints that become stiff (especially in the trunk) and help to improve flexibility of tight muscles. You should arrange to consult with a physio as soon as you are first diagnosed, to come up with an appropriate physiotherapy plan. It is nice if you can find a therapist you are comfortable with to work with you throughout your PD journey. So that is our introduction to PD! If you have any questions or comments please reply below or contact us at the clinic.